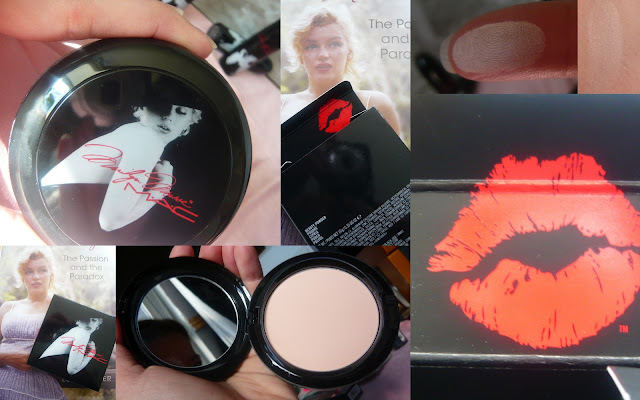 When I found out MAC were releasing a Marilyn Monroe collection I was excited - the joining together of two of my favourite things, Marilyn and Makeup. I spent the year searching for swatches and information on the collection, keeping birthday vouchers and empty MAC products for back to MAC. The collection hit the shops last Thursday (4th October) and I was in Brown Thomas first thing that morning. I am not the biggest MAC fan, don't get me wrong, I have quite a bit of MAC makeup but I hate the constant "Limited Edition" collections, the packaging to me is generally a bit dull and I think it's rather overpriced for what you get. But come on, this is Marilyn Monroe. Marilyn fans will know it's 50 years since her death so why didn't MAC release this for the anniversary, or maybe her birthday? I think either of those would have made better sense to me. The first thing on my list was the Beauty Powder which cost €29.00 - to be honest I bought this purely for the packaging as beauty powders seem like a bit of a waste of time to me but I have used this as an all over powder (it's extremely light) and it's pretty. Get it if you like the packaging, not for the actual product (I have a beauty powder from the Barbie collection but I swapped the powder in the packaging for something that I use). I wasn't going to get an eyeshadow until I realised that they were slightly bigger than normal MAC shadows and so they should be costing €21.50. I decided on Preferred Blonde, a light champagne colour but when I got to the shop I decided to get Showgirl too which is a beautiful grey/blue/silver. The shadows are pretty but they are quite chunky and to be honest Stila's Kitten could do a similar and probably better job - what can I say, the packaging sucked me in. The blush I picked up was the shade Legend (€24.00). The Marilyn stand wasn't in the shop so I didn't actually see the other shade. Legend looks like nothing. Sure, it's a pretty soft peach colour, kinda meh in the pan. I have no direct swatches because they wouldn't show up on my hand very well - this is all adding up to sound like I don't like this product, but I love it. The shade adds a gentle glow to the cheeks which is just enough when you're wearing a bold lip colour, it brightens up the face and is one of my favourite products that I bought. I guess it shows you that the quiet ones can sometimes surprise you. 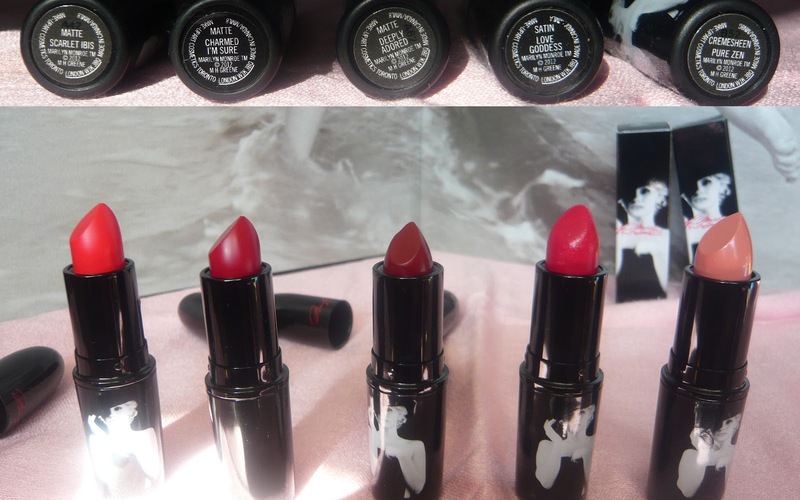 The stars of the show are the lipsticks - there are 5 lipsticks in the collection costing €19.50. 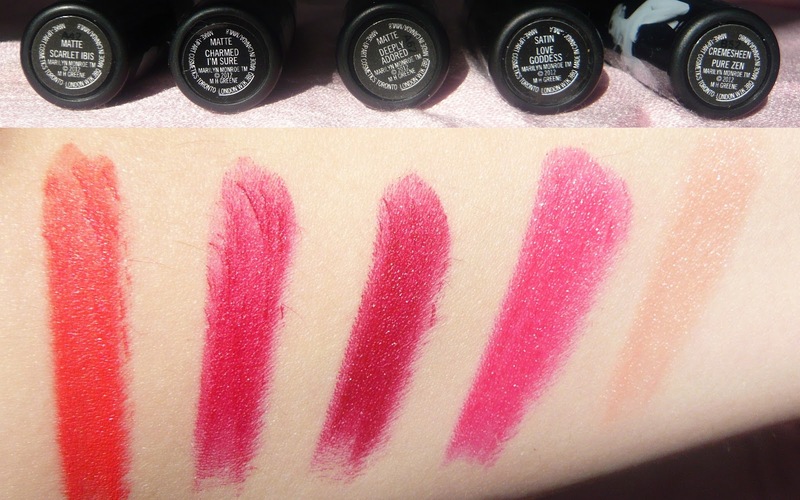 As you can see below (where the name is above the lipstick shade and swatch) there are a lot of reds in the collection. Over the last few months I used up as many MAC products as I could and managed to get 4 free lipsticks with back to MAC (in case you don't know MAC have a programme where when you return 6 empty products to the shop you can get a free lipstick). My favourite of the bunch was Love Goddess and I picked up a back up of this. When you think of Marilyn you think red lips, she also used a number of different reds to create her signature lip. 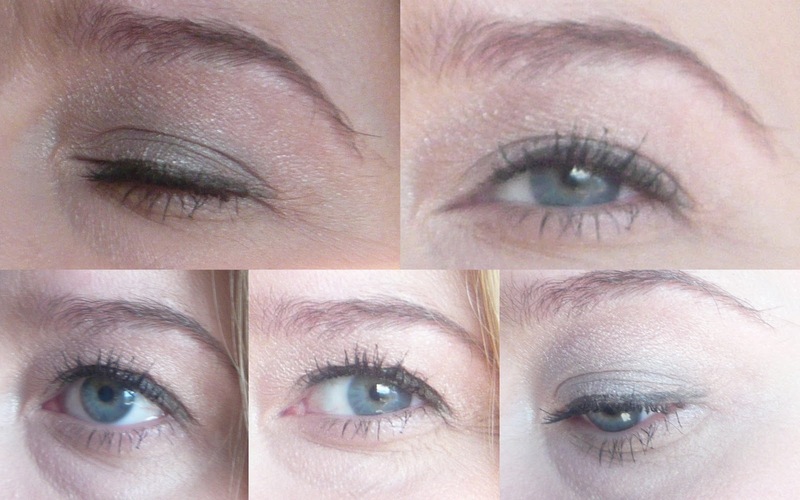 The shades are beautiful varieties of red and one neutral and I found them to be quite long lasting. Love Goddess is the perfect pinky red colour that is not over the top. This will be my new everyday colour. 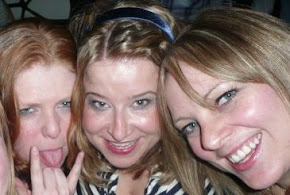 I'll admit I bought a lot (luckily with birthday vouchers) and even the girl in MAC thought I was a bit bonkers. When I initially saw images for the collection I was a little disappointed - it could have had a bit more oomph, however now I have the makeup in my hands I really like a lot of it. Would I have bought so much if Marilyn was not on the packaging - definitely not. My picks of the collection are the lipstick in Love Goddess and the surprise hit is the Blush in Legend. 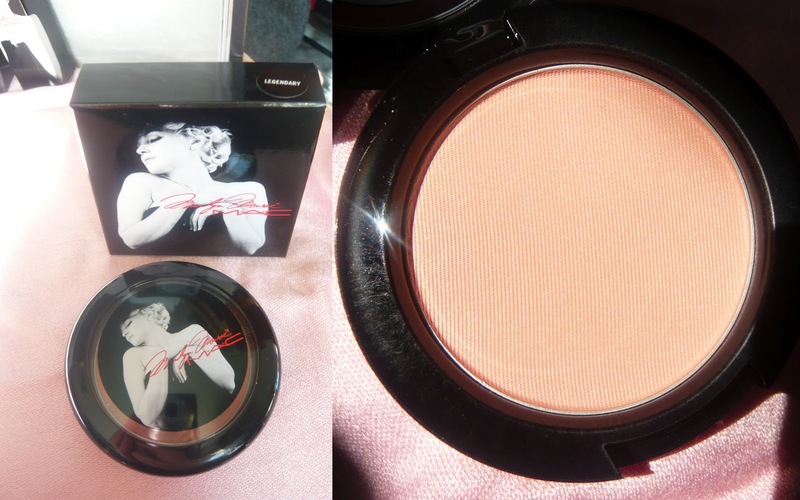 I hope I left some MAC Marilyn Monroe collection for you. What did you think of the collection?